At Walnut Grove Auction & Realty our focus is building relationships around the farming industry to better serve you. We are a family business that works hard to serve, meet, and exceed the wants and needs of all of our buyers and sellers. Let us put our experience in the agriculture industry to work for you. We sell, service, and purchase a wide variety of equipment, implements, and accessories that can help your farm run and operate more efficiently. We buy, sell, and broker dairy herds daily, make Walnut Grove your next call when you are in the market for buying or selling cattle. With over 50 years in the farming business, we also have a great network for connecting buyers and sellers for all types of farmland and real estate. We look forward to speaking with you, or seeing you at our next auction! Trust us. We've been serving the Southeast since June 6th, 1964! 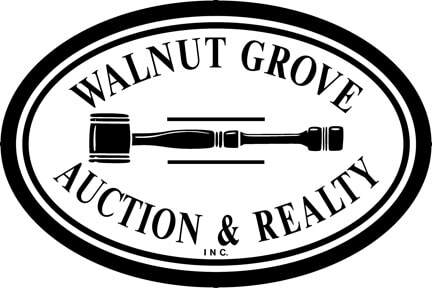 Click on the logo below be taken to the official Facebook page of Walnut Grove Auction & Realty. There we will be posting photos and updates about upcoming sales or cows and equipment that have recently come available. If you have an upcoming wedding or event we would appreciate the opportunity to assist you! Locations in Spartanburg, Anderson, & Columbia, South Carolina.